First Love (1860) is Turgenev's most autobiographical story, based on his own boyhood infatuation with an older young woman, his country neighbor, Catherine Shakovskoy (Zinaida character), and later discovery that she was his father's mistress. Retrieved from his collection, The Torrents of Spring (1897), translated by Constance Garnett. 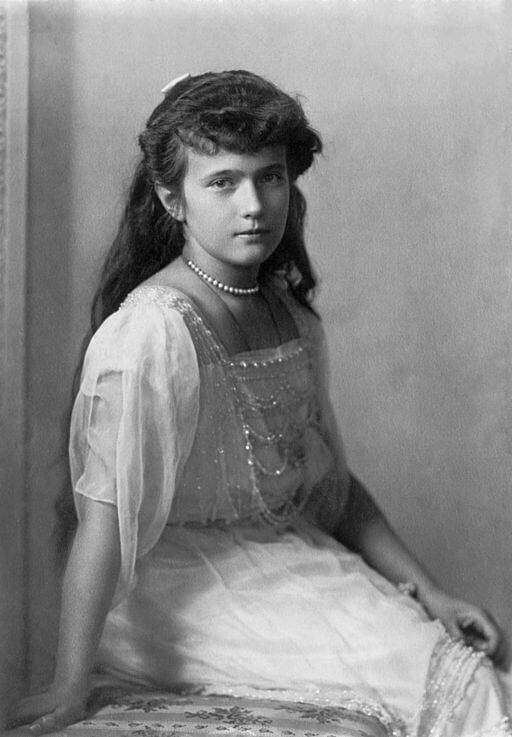 [Photo of Grand Duchess Anastasia Nikolaevna of Russia, before 1918.] It is reminiscent of one of our favorite boyhood "crush" stories, Araby by James Joyce.